macOS 10.14 Mojave is the “most secure macOS up to date”, if you believe Apple advertising, of course. 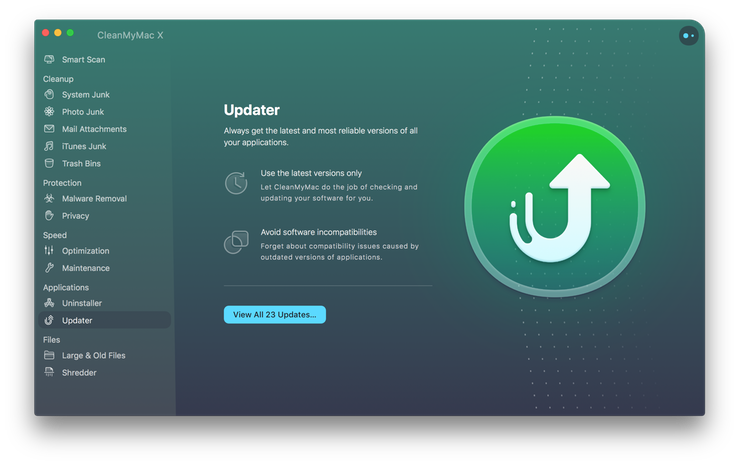 This macOS update introduces unprecedented restrictions on third-party apps that operate on your Mac. Long gone are times when an app could easily access your content, Mail, address books, and browser history. With global data leakages happening on a daily basis, no wonder that in 2018 Apple placed a kind of “an Iron Curtain” that seals up your most important data, namely, Full Disk Access permission. 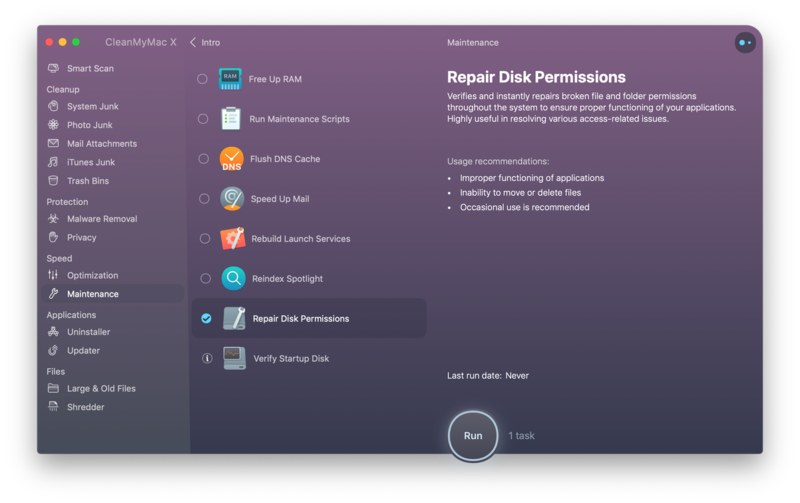 What is full disk access in macOS Mojave? Full Disk Access feature is much like a security check at an airport. When you grant “Full Disk Access” to an app it is added to the white-list of applications that are now marked as safe to work with your data. At the same time, all other applications will be greeted with “You Shall Not Pass.” The protected areas that require Full Disk Access permission are your Mail, Messages, Safari, Home, Time Machine. According to Apple: “So if your app attempts to access any data that is part of one of the protected categories the system will automatically terminate it.” And by “terminate” Apple really means a forced crash. If you haven’t upgraded to Mojave yet, you don’t have to worry. If you’re running Mojave, using some apps may get troublesome in case they haven’t been yet optimized for 10.14. So, just in case, be prepared for a number of app crashes on your Mac. What else you might expect is that many apps will start bombarding you with prompts to grant them the so-desirable “Full Disk Access.” Should you grant such access? We’ll try to answer that further below. When should you grant Full disk access for an application? First, if an app comes from a credible developer and you want it to properly do its job. Obviously, a daily scheduler or some other app from “Productivity” category would absolutely need access to your Calendar in order to simply function. On the other hand, if some Chess application is asking to access your Mail you should be concerned about its real intentions. If you doubt about the app’s declared intentions, you can contact the developers of the app — usually their response will be quick and to the point. How to give Full Disk Access? 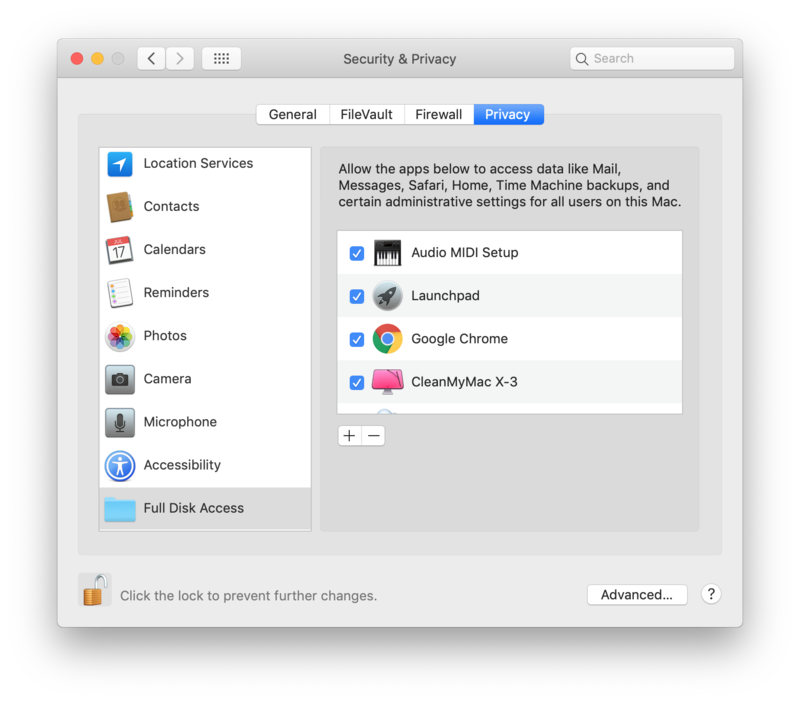 Full Disk Access is administered via System Preferences > Security & Privacy. Starting from macOS 10.14 Mojave it contains a special Full Disk Access section that like a folder. Easily enough, you can drag & drop your apps onto a pane right from the Applications folder. But prior to that, you should “unlock” this dialogue window. Now click the “lock” icon and enter your system password to unlock the panel settings. Well done! Now you can drag & drop apps directly from your Applications so they have a Full Disk Access. You can also do it in bulk by adding many apps at once. Alternatively, you might click the “+” sign to add apps one by one. Note: For more security of your accounts, you can click “Advanced…” in the same window and tick the checkbox that reads “Require an administrative password…”. This will prevent other users of your Mac from accessing the most important system parts and thus minimize the potential damage from such actions. What is Full Permissions and how to give them? How is Full Disk Access different from standard permissions requests on macOS? Permissions are granted for individual actions, like accessing your Photos, whereas Full Disk Access gives unrestricted rights to do multiple operations on your Mac. 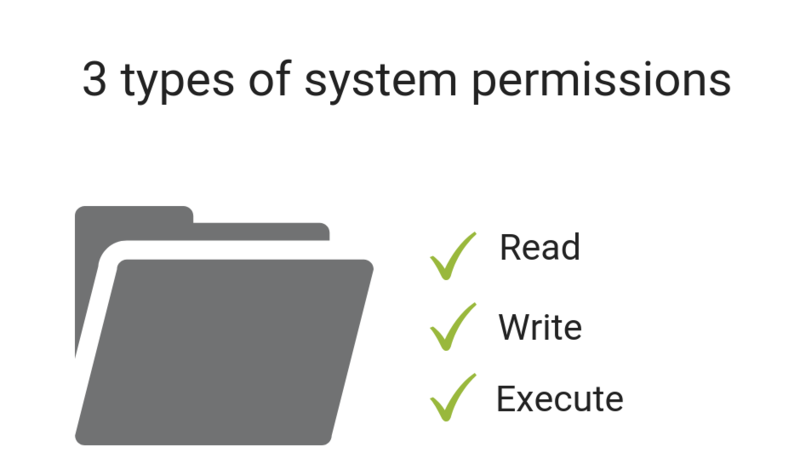 System permissions come in 3 types. Permission-protected areas are: contacts, microphone, webcam, Mail, remote desktop control, and calendars. Whenever an app wants to have access to your a, b, c... it will initiate a standard dialogue box (you’ve seen it million times) where you can click either “Ok” or “Don’t Allow”. In the second case, an app will crash if it attempts to access the restricted areas on your Mac. Once again, you should be ready for a flood of permission prompts when you upgrade to macOS 10.14 Mojave. The new reality is that permissions is no longer a mere formality when dealing with apps on your computer. You should rather view permissions as a tool, which means you can grant and revoke permissions when necessary. For example, if an app is bothering you with notifications, you can easily take away it’s privileges in System Preferences/Privacy/. Starting from macOS Mojave this particular panel will become an often-visited place on your Mac. The problem comes when some user permissions get lost or broken. One morning you may find that you no longer can open a file or access a certain folder on your Mac. Luckily, there is an easy way to fix it. I usually fix disk permissions with a tool called CleanMyMac X which has a pretty strong reputation within Mac community. If you perform the rest of maintenance tasks from the described section you may even see your Mac running faster and smoother. An often reported issue on macOS Mojave is camera and microphone permissions not working properly. While Apple’s own apps handle camera and mic perfectly well, many third-party apps (like Skype) end up becoming totally unusable due to missing permissions or “Full Disk Access denied”. In such cases, a dialogue box that requests permission is never displayed, for whatever reason. And if a program hasn’t requested a permission — you guessed right — there is no way to make it work. What can you do? Apple’s decision to harden security requirements on macOS Mojave is a long expected move. In the short term we’ll see a swarm of software conflicts linked with macOS permissions. As I mentioned earlier, many users have already reported their audio apps crashing while attempting to enable the microphone access. The same refers to apps that require using camera on your Mac. Still, in the long run, the stronger grip on security will is beneficial for all of us. And as to the flaws, they will hopefully be fixed in the next macOS updates. To save yourself from the misfortune of constantly crashing software it is recommended that you update all your apps to the latest available versions. Good news, it no longer means hours of googling. 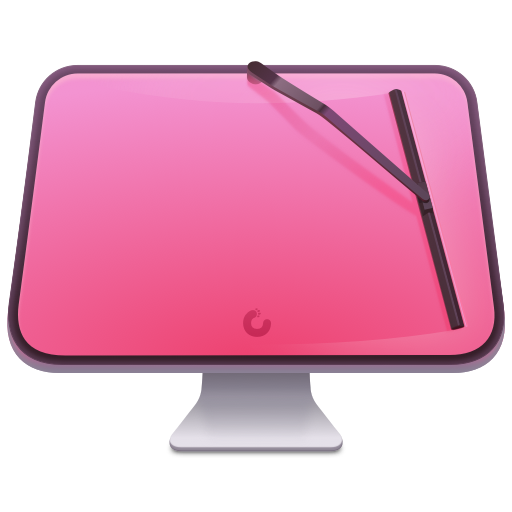 You can use the tool I described above, CleanMyMac X, that has a quick built-in Updater module. This will reduce the chances of your apps crashing on macOS Mojave. Under today’s security standards users must explicitly authorize any app i.e “an opt-in” logic will become prevalent. Previously, malicious programs could simulate the supposed consent by using the so-called synthetic clicks — a term from a hacker universe. Now such practice becomes more and more difficult but it doesn’t mean “data leaks” will disappear anytime soon. The described pre-authorization logic is nothing new for iOS users and has gradually become an industry standard. But who would complain about having stronger security on their Mac? Eventually, we’ll get there even if it means making a few redundant clicks everyday.